North Thailand is home to 34 national parks with further 25 natural sites planned for designation. 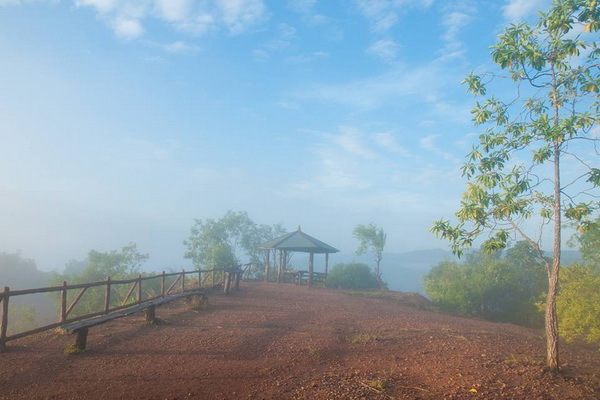 The parks typically cover and rugged mountain area northward from Phetchabun province. They function as watershed for several rivers. The biogeographical region of North Thailand consists of a mountainous region with river valleys which include the highest elevations in Thailand. Accordingly many central Asian species of animals and plants reach their southern distributions in these mountain areas. The surrounding lowlands also provide southern habitat for other species. By biogeography we refer to the distribution of animals and plants and particular geography. The major ecosystems in Northern Thailand are Hill Evergreen Forest, Mixed Deciduous Forest, Deciduous Dipterocarp Forest and Pine Forest. Chiang Mai Province is about 685 km. from Bangkok in the Mae Ping River basin and is on average at 300 m. elevation. Surrounded by the mountain ranges of the Thai highlands, it covers an area of approximately 20,107 km2. The mountains of the Daen Lao Range at the north end of the province, the Thanon Thong Chai Range stretching in a north-south direction, and the Khun Tan Range in the east of the province are covered by rain forest. 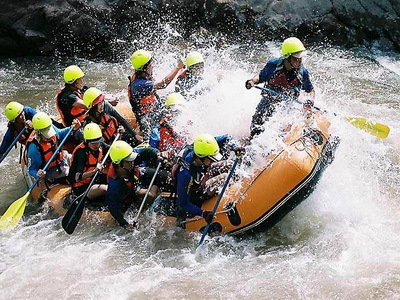 The Mae Ping, one of the major tributaries of the Chao Phraya River, originates in the Daen Lao mountains. 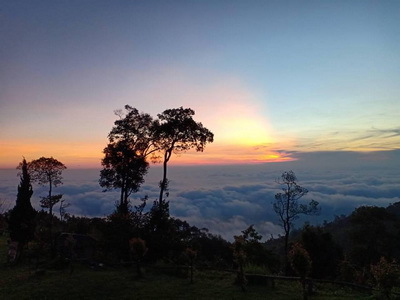 The highest mountain in Thailand, Doi Inthanon at 2,565 metres, is in Chiang Mai Province. 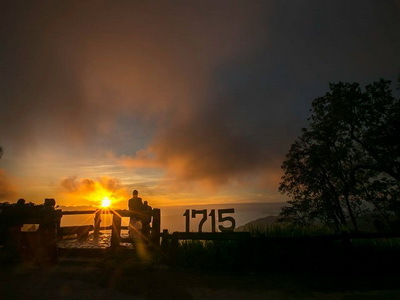 There are 13 National Parks in Chiang Mai Province. The average elevation of the province is 580 metres. The north of the province is part of the so-called Golden Triangle, where the borders of Thailand, Laos and Burma converge, an area which prior to the rise of agricultural production of coffee, pineapple, coconuts, and banana plantations, was unsafe because of drug smuggling across the borders. The Mekong River forms the boundary with Laos, the Mae Sai and Ruak River with Burma. Through the town of Chiang Rai itself, flows the “Mae Kok” Kok River and south of it the Lao River, a tributary of the Kok. While the eastern part of the province is characterized by relatively flat river plains, the northern and western part consist of the hilly terrain of the Thai highlands with the Khun Tan Range and the Phi Pan Nam Range in the west and the Daen Lao Range in the north. While not the highest elevation of the province, the 1,389-metre high Doi Tung is the most important terrain feature. 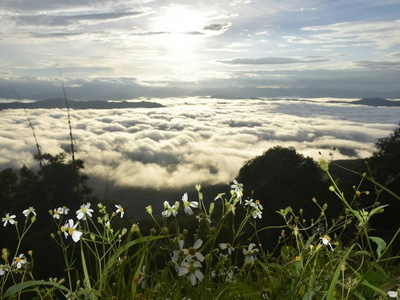 There are 3 National Parks in Chiang Rai Province. Mae Hong Son Province is approximately 924 kilometres north of Bangkok. To the north and west it connects to a total of three states in the Union of Burma, namely the southern portion of Shan State, Kayah State, and Kawthoolei State, via the West Thanon Thongchai Mountains, and the rivers Salween and Moei. These formations serve as natural boundaries between the countries. To the south, it connects to the district of Tha Song Yang and Tak, via the rivers Yuam and Ngao, which serve as a provincial boundary. 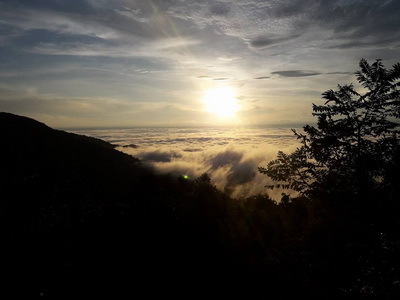 To the east it connects to the districts of Wiang Haeng, Chiang Dao, Mae Taeng, Mae Chaem, Hot and Omkoi in Chiang Mai Province, via the central and east sections of the Thanon Thongchai mountain ranges, which serve as a boundary between the two provinces. Every district in Mae Hong Son Province shares a common border, measuring approximately 483 kilometres in total length, with Myanmar. The common border consists of approximately 326 km. of land boundary and 157 km. of river boundary (not counting the Salween, 127 km., and Moei, 30 km.). Most of the areas of Mae Hong Son Province are the complex mountain ranges of the Thai highlands, parts of which are still covered with rain forest. Of the approximately 6,976,650 rai of national forest reserves, it is estimated that 88 percent is pristine virgin forest. 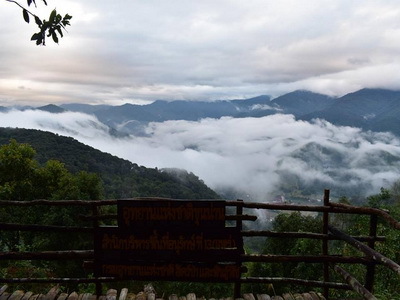 There are 4 National Parks in Mae Hong Son Province. 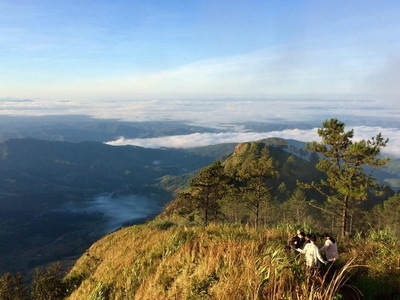 Lampang sits on a plateau with the altitude of 268.80 meters above sea level. It is surrounded by mountains range from the north to the south with a plain in the middle. Upper part of the province is a mountainous area covered with dense forest in Jaehom, Wangnue, Muang Pan and Ngao districts. Central part of the province is the river plain which is the main agricultural area of Lampang in Muang, Hangchat, Koh Kha, Mae Tha and Sopprap districts. 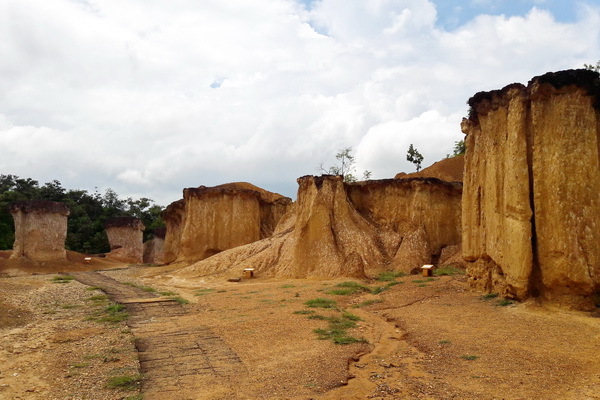 Southern part of the province is the dry deciduous forest and grassland area in Thoen, Mae Phrik, and part of Sermngam and Mae Tha districts. 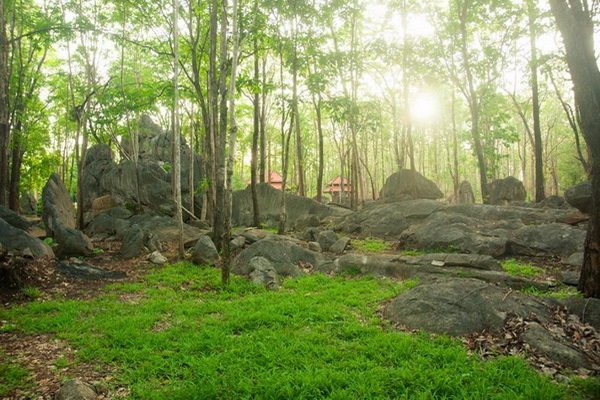 There are 4 National Parks in Lampang Province. Lamphun province is the smallest province among the provinces in the upper-northern part of Thailand. Its area is approximately 4,505.882 sq.km. or approximately 2,815,675 Rai. This amounts to 4.85 percent of the area of the upper-northern part of Thailand. The widest distance of Lamphun is approximately 43 kilometres while the north-south distance is 136 kilometres. Lamphun is in the Ping River valley. It is surrounded by mountain chains, with the Thanon Thong Chai Range in the west and the Khun Tan Range in the east of the province. It is some 670 kilometres from Bangkok and 26 kilometres from Chiang Mai. There are 2 National Parks in Lamphun Province. Phrae Province lies on the Yom River, at an elevation of 159 metres. The town is mostly built on the east side of the river, but some outlying parts are built on the west side of the river and are connected to the main part by bridges. There are hills both to the east and west of the town; the Phlueng Range to the east are higher, reaching about 800 metres (2,600 ft) above sea level, whereas the Phi Pan Nam Range to the west are about 500 metres (1,600 ft) above sea level. 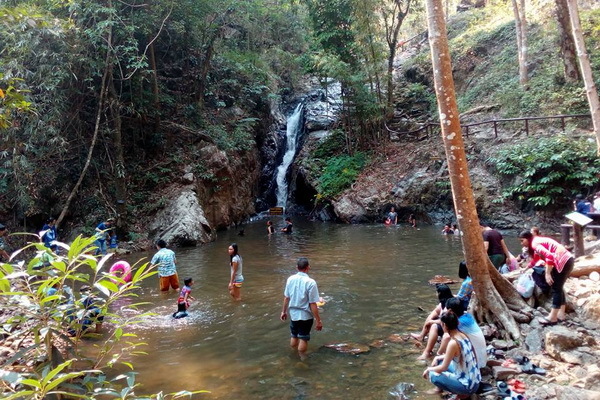 There are 3 National Parks and 1 Forest Park in Phrae Province. Nan province is in the remote Nan River valley, surrounded by forested mountains, the Phlueng Range in the western part and the Luang Prabang Range in the east. The highest mountain is the 2,079 meter high Phu Khe in Bo Kluea District, northeast of the city of Nan towards the border with Laos. There are 7 National Parks in Nan Province.